Ted Bundy isn’t special. He was able to alter the tone in his rhetoric to capture the attention of whom he was speaking to. Yet, this isn’t necessarily something he should be known for. Society perceives Bundy as the handsome and articulate psychology major who captured media attention. It made America wonder how such an average, heterosexual white male could do such heinous and evil things. Ted wasn’t as smart as the media gives him credit for. Whether it was being a subpar Boy Scout, or an average law school student, Bundy isn’t the genius you thought he was, and to say he lured women into his grips with his charm is untrue. With the recent release of new Ted Bundy films, people have negated the murders because they are so blinded by his “charm” and “mind.” Allowing a heartthrob like Zac Efron to portray Bundy makes him seem like he was a “ladies man” who lured his victims with his charisma and looks. If you look at the case itself, Bundy lured his victims by lying (ex: saying he has a broken arm or impersonating a police officer). When that wasn’t an option, he would attack them at helpless and vulnerable moments. Nobody would ever fall for the real Bundy. Plagued by insecurity, his constant shortcomings made him long for power. In high school he declared that he would one day be the president of the United States. He invested himself in Nixon’s republicanism and cared deeply about validation from his peers. His constant need for fulfillment carried over into his murders. Every time he killed, he thought he would feel gratification, but he never did. Bundy wasn’t a slippery suspect who could evade the law at his own free will like he’s portrayed. There was a lack of DNA testing technology in the 1970s. Serial killers were new to law enforcement and they weren’t suited with the capabilities to handle a case like Bundy’s. If he tried this in 2019, he would have been caught quickly. People are even romanticizing this monster. Bundy isn’t as handsome as he is made out to be. He is handsome in comparison to other serial killers, but why does that matter? I understand the fascination with the paradigm of serial killers. Although, in reality, most of them were societal outcasts who came up short in one aspect of their life or another. Ted Bundy isn’t an exception. Not knocking Zac Efron, but the portrayal of him as Bundy pushes a false narrative of somebody who Bundy never was. It’s destructive to glorify him as if he was somebody you would want to go grab coffee with; it is never okay to be thirsting over a literal mass murderer. 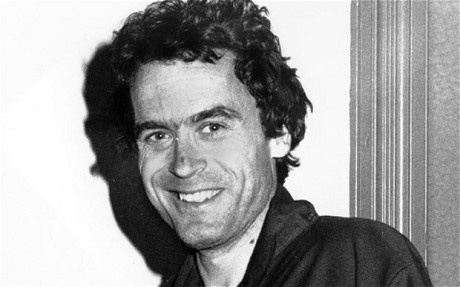 Ted Bundy isn’t special.